Congratulations on your engagement! This is a joyous and momentous occasion in your lives. The commitment of a life-long union is sacred and special, and there will be much planning and anticipation leading up to this moment. While you may be nervous, this can be an extraordinary time of blessing and abundance. Paris, the City of Light, is a place made for life-giving moments of abundance. It is where art emerges from dreams, where liberty defies tyranny, and where lovers from every corner of the world come to stroll the streets to capture a moment of passion that will last a lifetime. If you and your beloved are lovers and dreamers, a Paris elopement or wedding will suit you. Whether it will be just the two of you, or you are bringing a host of family and friends, getting married with a symbolic or religious ceremony in Paris, will mark the beginning of your journey in unique and memorable way. By selecting special readings, crafting traditional, modern or originally written vows, exchanging rings, and forming the ceremony together, Rev. Wahila will help you design a ceremony that is a reflection of who you are together. With the aide of Rev. Wahila you will fashion together a ceremony that you will treasure for your lifetime together. Wedding blessing ceremonies are only performed in France once a couple is legally married. Weddings performed by Rev. Wahila have significant spiritual significance but no legal status. Before officiating your symbolic ceremony, you must provide Rev. Wahila with a copy of your legal marriage certificate. Getting legally married in France is only possible through a civil ceremony which takes place at the council offices (la mairie). Non-residents who do not have a parent living in France require a special dispensation to get married in the country, and this is very rarely granted. Many couples prefer to have the civil wedding in their country of origin or residence, and hold a second, religious or symbolic, ceremony in France. If you are a U.S. or U.K. citizen, the latter is highly recommended. Please look into the time frame and requirements for civil marriage in your home country to avoid difficulty, since Rev. Wahila cannot perform your marriage ceremony without proof of legal marriage. A copy of your legal marriage certificate is due to Rev. Wahila no later than one week before your wedding. 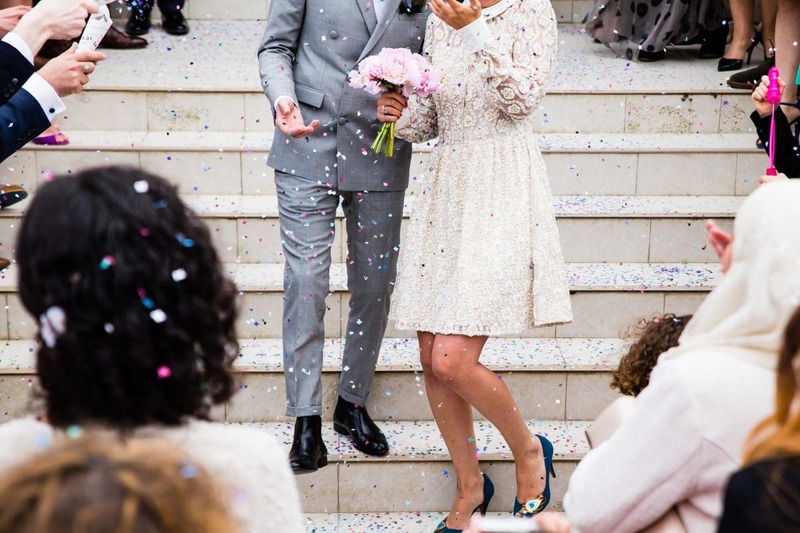 While a religious ceremony in Paris, performed by a qualified officiant, may not be legally binding, it provides couples the moment to bind their hearts together in a creative, meaningful and joyful event that will be with them forever. There are no ties sweeter on earth, than those of marriage. Couples should have the opportunity to celebrate these ties in a way that represents them, beyond simply fulfilling legal requirements.